My wife and I were meeting some of our favorite friends (who happen to be Icelandic) in Dublin, Ireland. 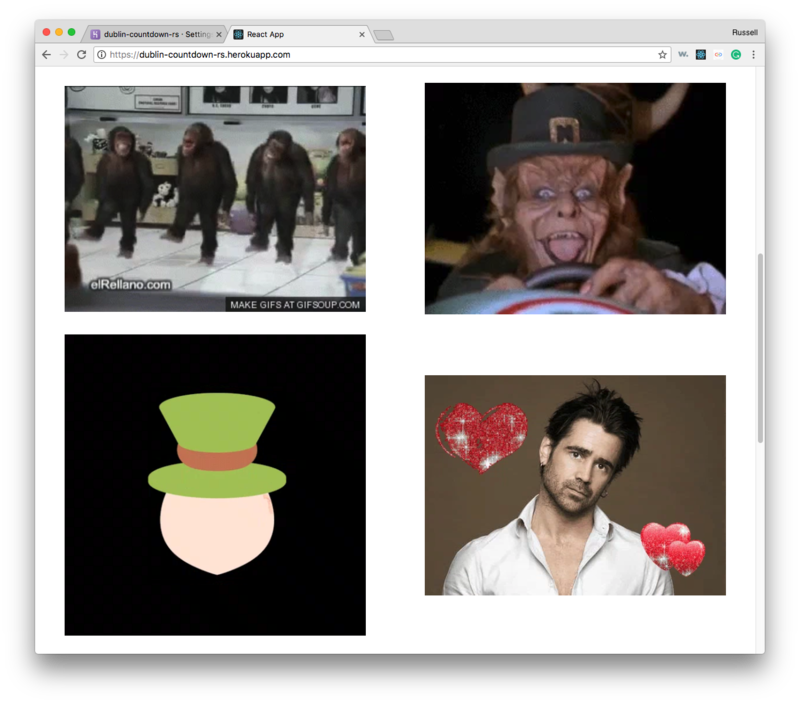 I was so excited I made a countdown page featuring some of the worst cliches of Irish culture and also Colin Farrell for the ladies. Ironically perhaps we did end up seeing Riverdance and stag/hen parties across Dublin where various Leprechaun outfits were worn. 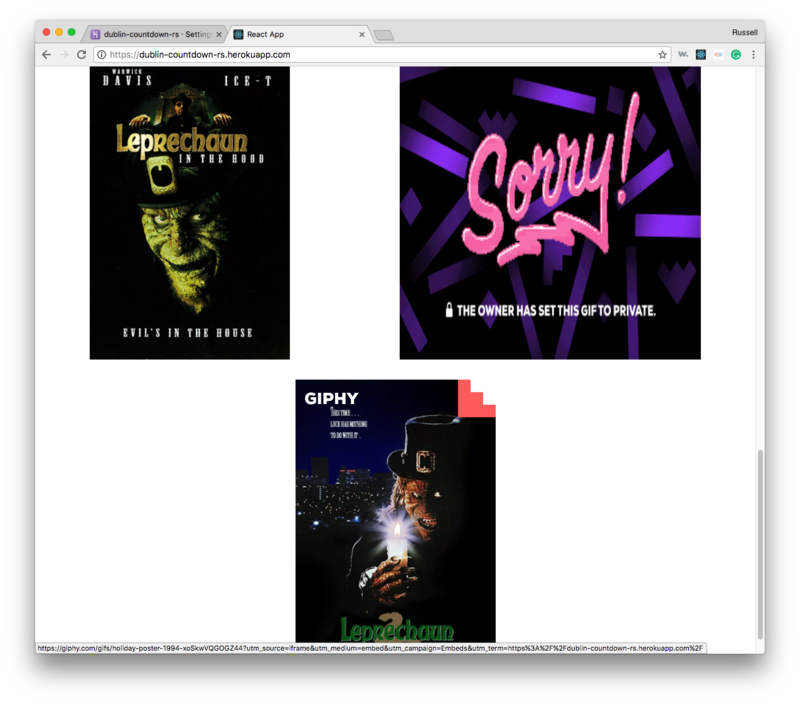 This site is unapologetically terrible but it again shows the fun that can be had with React on a single page app. Abysmal. This is hard on the eyes. I made it as a joke.